A game of warfare, diplomacy, and intrigue, based on George R.R. Martin's fantasy novels. View larger. 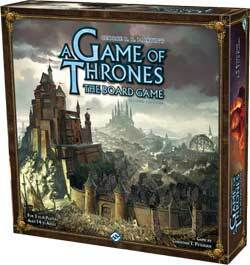 A Game of Thrones: The Board Game captures the most memorable elements of George R.R. Martin's popular series. 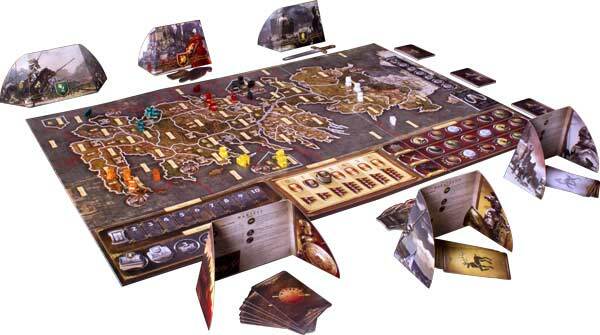 The detailed board represents an accurate map of Westeros, and the tokens and cards convey many of its most significant locations and characters. Attractive marbled plastic figures shaped as footmen, knights, ships, and siege engines display your military might to the realm while contributing to the game's overall medieval aesthetic. 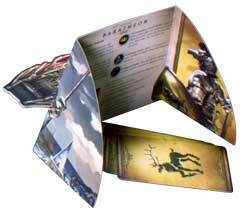 Each round in the game is made up of three phases: the Westeros Phase, the Planning Phase, and the Action Phase. The Westeros Phase represents special events and the day-to-day activities in Westeros. In the Planning Phase, players secretly assign orders to all of their units. This portion of the game emphasizes diplomacy and deduction. Can players trust their so-called allies, or is a timely betrayal in the making? Finally, during the Action Phase, orders are revealed, alliances crumble, and fierce battles decide the players' fates. 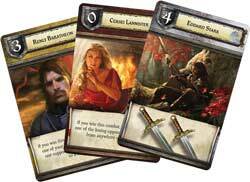 Fragile alliances will form and break over the course of each game, as players promise support to neighboring Houses only to betray them for their own selfish ends. But beware; as the war unfolds, the barbaric Wildings (which are controlled automatically by the game) work to amass their forces in the far north. Players must occasionally set aside their differences to face a common foe--or face the consequences together.